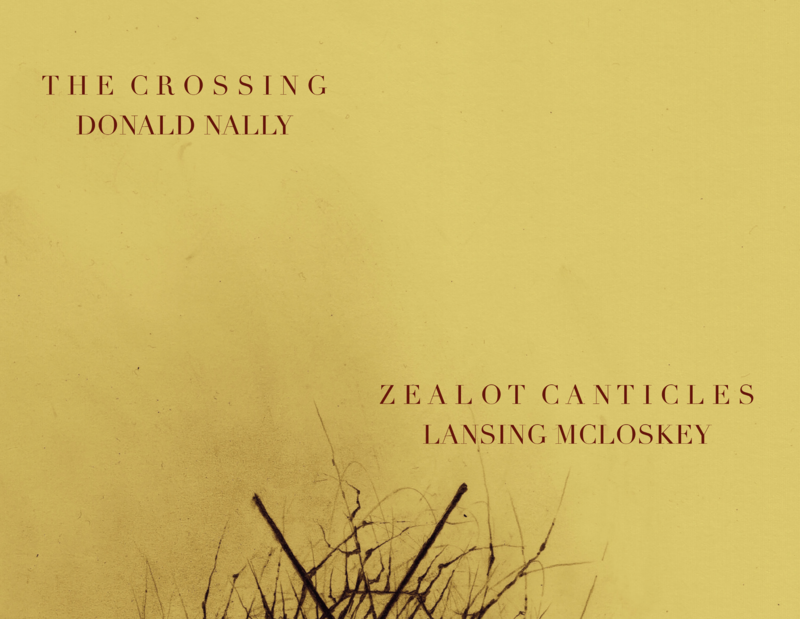 The Crossing and Donald Nally have won the 2019 Grammy Award for Best Choral Performance for their recording of Lansing McLoskey’s Zealot Canticles. The award was presented yesterday, February 10, 2019, at the Grammy Awards in Los Angeles. This marks the Philadelphia new-music choir’s second consecutive Grammy in the category, previously winning the 2018 Grammy for Gavin Bryars’ The Fifth Century with PRISM Saxophone Quartet on ECM. The Crossing’s recording of Thomas Lloyd’s Bonhoeffer (Albany 2016) was nominated for the 2017 Grammy in the same category. Based on Nigerian Nobel laureate Wole Soyinka’s Twelve Canticles for the Zealot – a strangely beautiful and terrifying look into the minds of fanatics – Lansing McLoskey’s Zealot Canticles is a concert-length choral ‘oratorio’ for clarinet, string quartet, and 24-voice choir. The work makes virtuosic demands on all the artists, particularly on the clarinetist, here, Philadelphia’s Doris Hall-Galuti. The string quartet on the album is comprised of violinists Rebecca Harris and Mandy Wolman, violist Lorenzo Raval, and cellist Arlen Hlusko. Soyinka’s texts and Lansing’s responses are universal pleas for peace and tolerance, yet they force us to look into the mirror and recognize the thin line between devotion and intolerance, zealotry and radicalism – themes that dominate our public discourse every day. Zealot Canticles was premiered on March 19, 2017 at the Presbyterian Church of Chestnut Hill in Philadelphia, The Crossing’s home venue, and was commissioned by Donald Nally and The Crossing, with generous support from The Barlow Endowment for Music Composition at Brigham Young University, and the University of Miami. Wole Soyinka (b. 1934) is a Nigerian poet, playwright, novelist, and recipient of the 1986 Nobel Prize for Literature, the first African American recipient of the award. In 1967, Soyinka was arrested and imprisoned for civil defiance after denouncing the suppression of human rights and free speech by the military dictatorship of General Yakubu Gowon, intervening in an attempt to avoid the Nigerian/Biafran civil war, and condemning the genocide of the Igbo people. In the decades following his release, Soyinka has remained an outspoken advocate for human rights. In 2002, Soyinka published a set of poems titled ”Twelve Canticles for the Zealot,” a strangely beautiful and terrifying look into the mind of fanatics, containing a subtle catalogue of the horrific results, past and present. Throughout the set of canticles, Soyinka makes universal pleas for peace from multiple languages and religious cultures. Seven of these poems form the core of the libretto of Zealot Canticles. Interwoven with these poems are excerpts from Soyinka’s book The Man Died, his play Madmen and Specialists, and interviews, lectures, and speeches reflecting on his upbringing in an environment of tolerance, and condemning the current climate of intolerance, bigotry, and violence.